Recently, a team from the St. Vrain Innovation Center assembled its first custom PCB design with the help of SparkFun. This is the story behind their project and their experience. Friday Product Post: It's Time to Buzz the Tower! 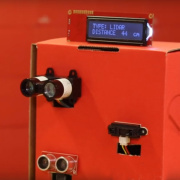 A new Qwiic Transparent OLED HUD, as well as a Qwiic Joystick, are making their debut. We also have two new LiDAR modules! 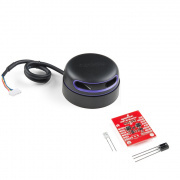 The new RPLIDAR is here, and a new WiFi IR board "blasts" onto the scene! It's time to bounce that old tennis ball out of your garage, and up your game with this simple project that lets you know exactly where to stop when pulling in to your garage. 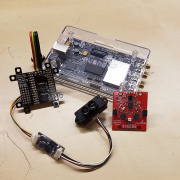 A new Qwiic-compatible TFMini LiDAR module, a triad spectroscopy sensor, a new SDR, the SmartLED Shield, and a radio telemetry kit! 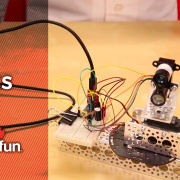 What type of proximity sensor is best suited to your next project? We've put together a Proximity Sensor Comparison Guide to help you choose the right tool for the job! I've gone out there and found the best in distance sensing. 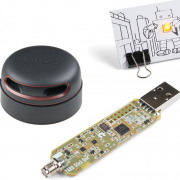 The YARD Stick One from Great Scott Gadgets is here, along with the RPLIDAR and two fun, SparkFun Original Paper Circuit kits! 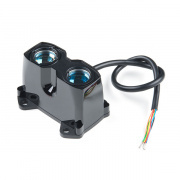 Friday Product Post: Get High-Performance with LIDAR! The new LIDAR-Lite v3HP is finally here! 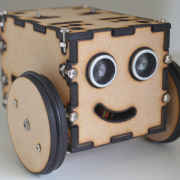 Let's take a look at how LIDAR works and how we can use it in robots. It's been a few days since a post. But you made it worth it! What a great way to give back and support the community!! Sounds like quite a neat experience. I hope to see another blog post when these boards take flight!